There are many bots / hacks to Slither.io circulate on web, but most of them infect your computer with Trojans and viruses. Not so with the hack of jLynx. With this bot your snake can really grow automatically. 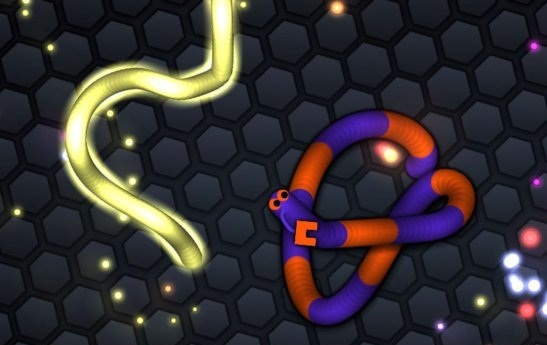 Slither.io bot for Google Chrome. First you need to remove existing Slither.io browser plug-ins from Chrome, for example, Zoom Mod . In the next step the Tampermonkey plug-in is required that you can install through this link. It opens a window, where you can click on the green button labeled "ADD". This will open another window in which you click "Add Extension". In the final step it needs the Bot.user.js file of Ermiya Eskandary and Théophile Cailliau. Click on this link and then the top left on "Install." If you now start Slither.io with your Chrome browser your snake moves without your intervention. Learn how you can implement for Firefox, Android and Opera. Before you use Slither.io-Bot with Firefox, you must first remove all scripts and browser extension that affect addictive game, "slither.io extension" for example. Install now the Greasemonkey plugin for Firefox. Click for "install" on the button "+ Add to Firefox" and in the window that opens. Start the browser now. In Firefox you can see on "Add-ons" - Check if Greasemonkey "extension" is installed correctly. Now it needs the bot.user.js file. It opens a new window if Greasemonkey is installed correctly, click on "Install". Start now browser version of Slither.io with the Firefox. If you've done everything right, "Slither.io-bot" appears as the name - but you can change this easily.